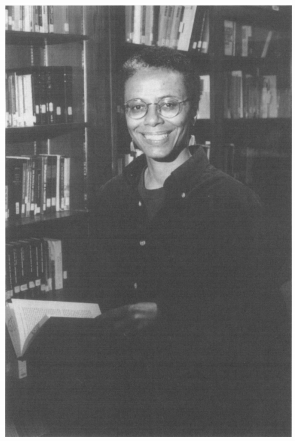 In memory of Rhonda Williams, associate editor of Feminist Economics from 1994 to 1998, the International Association for Feminist Economics (IAFFE) has established a prize to help scholars from underrepresented groups in IAFFE, whose work reflects Rhonda Williams’s legacy of scholarship and activism, attend the annual IAFFE conference and present a paper. Amount: $1,000 to be awarded at the 28th IAFFE Annual Conference in Glasgow, Scotland, June 27-29, 2019. Conference information is at http://www.iaffe.org/annual-conferences/2019-annual-conference/. The funds are intended to partially defray travel costs to attend the annual conference. (For scholars traveling from a long distance, additional funds may be available to assist with travel and conference expenses.) The award winner will also receive a registration fee waiver for the 28th IAFFE Annual Conference. * Inequalities based on race, ethnicity, gender, sexual orientation, or nationality. * Interrelationships among racism, sexism, homophobia, and classism. * Connections between scholarship and activism. Special consideration will be given to applicants from groups not well represented in IAFFE and those with limited access to travel funds from their home institutions or international funders. This prize is targeted to junior scholars and activists. The recipient of the prize must present a paper at the IAFFE conference (you must separately submit to present the paper for inclusion in the Conference program at the Conference website above and submit the manuscript to Feminist Economics within a reasonable period after the conference. The paper will undergo an expedited review process, but publication is not guaranteed. In cases where some but not all the criteria for the prize have been met, a travel grant may be awarded instead of the Rhonda Williams Prize. (1) A cover letter/email that includes a statement of (a) the connection between the applicant’s experience and the Rhonda Williams legacy as described in the criteria above; and (b) how the applicant would bring diversity to IAFFE and how the applicant would like to be engaged with IAFFE in the future. Please send all files in Microsoft Word or in PDF Acrobat format. Please be sure that all materials are sent. Applicants who omit any of the three items listed above may not be considered for the prize. Applicants who have not yet registered for the annual conference because of funding needs, must still submit their papers via the conference website to be considered for the prize. The prize winner will be allowed to register for the annual conference and will be included in the conference program after being notified of the prize.